Spring is almost really here in Chicagoland and, I am attempting to complete a Web Art Challenge that lasts for 100 days. Wish me luck! Appearing hopefully daily on all of my social channels! Chet is the newest, imaginary social media pet sensation, and his fanciful life will be my focus for the next 100 days. 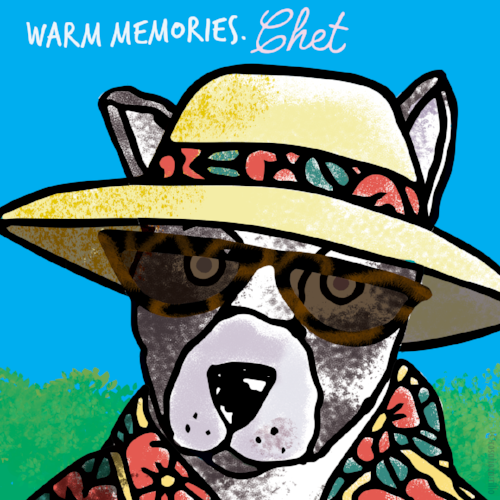 Visit often, because Chet has a lot on his mind to blog about!